It happens every evening. After politics and natural disasters are out of the way, local news outlets make their way to local crime, just before giving us the weather predictions for the week. And usually, it’s the same old story. Murder or violence, arrest. The accused’s mugshot is dug up in time to be blasted into everyone’s living rooms just as they are sitting down to dinner. Likely, this is not a flattering picture. Most are not groomed and ready for a photo courtesy of the police, and the result is not exactly a professional head shot. Alongside this searing image, we may be presented with a list of the person’s previous crimes and misdemeanors. It’s enough to make you drop your fork and push your plate aside, rush to install home security. Next up, though, after having our future nightmares predicted for us with the perpetrator's grimace, our anchors run tape of a tearful, distraught family member or friend of the accused. Now, the picture changes. We’re given a look at someone who, nine times out of ten, helped everyone around them, and wouldn’t hurt a soul. The family member or friend looks completely shell-shocked by the events, and adamantly expresses their disbelief that the person they knew could ever commit such a crime. If this character witness for the accused didn’t step forward to give us a different perspective, what would we think of the person who appears in the mugshots? Can we trust the friend or family member? Couldn’t they have a certain agenda? Couldn’t their own judgement be clouded by being too close to the person, just as our judgement is perhaps rendered too blind by our distance and ignorance of them? I’m not crying “Fake news!” here. We’ll leave that to someone more famous for it, someone with another agenda. My agenda is to point out that, even in circumstances of serious crimes, where guilt seems clear, there are gray areas where the devil and the angel aren’t so quickly or easily defined. Even in seemingly clear-cut situations, everyone deserves their day in court in America. Also, my objective is to point out that there are angels among us that we never know. We could learn something from the fact that — after assembling a team of jurors, going through an entire trial where supposed facts, eyewitness testimonies and expert witnesses are presented — it is still a difficult task to determine someone’s guilt or innocence. Sometimes, we rush to judgement. We also fail to recognize those who are working for our benefit, making small miracles happen as we live our lives unaware. Most of the time, we have no way of understanding who someone really is, yet we pass judgments every day. If The Clovers couldn’t decide, how can we? Typically, we use subtle markers and clues to help us arrive at our decision. If we see a senator or public official wearing an American Flag pin, we might decide that they are a patriot. We offer them a certain, higher level of respect. Is this correct? With the exposure of kickbacks, advantages, and outright corruption that politicians engage in, it seems foolhardy to trust a pin, doesn’t it? At the same time, you may be standing behind someone in a grocery or retail store loading school supplies onto the conveyor belt. She may not be wearing a pin of any kind, but she’s a teacher in a local school, and she’s shelling out her own money to buy pencils, paper and notebooks for her students. This happens at the start of every school year all across our country. What’s more, there are intelligence agents all over the world, putting their very lives at risk to keep the rest of us safe. They are highly trained and skilled, and they’ve chosen to live a good portion of their lives away from home — and when they are home, to keep their working life a secret — in order to protect us and keep us safe from any potential threat. Unlike other, official members of protective agencies for our country (Army, Navy, etc. branches of the military), intelligence agents’ names are never listed and their sacrifice goes unacknowledged, even when they’ve made the ultimate sacrifice of laying down their life. Often, heroes and patriots aren’t wearing pins. There are regular, day-to-day deeds that people do — American citizens, immigrants, dreamers — that make them a patriot more so than any given person wearing a pin. There are also extraordinary actions taken by people who are keeping our country safe, anonymously. That anonymity is vital, but it means that they receive no thanks. Teachers, firefighters, EMS workers and nurses, scientists, engineers , intelligence agents — these are the true earth angels. Even if they aren’t tirelessly teaching our youth or saving our lives, most people in this country pay taxes, follow the laws, and keep the country’s economy going. But they still aren’t considered patriots. Likewise, there are those who trick the system, accept government hand-outs that they could do without, technically abiding by the law while taking advantage of loopholes in order to receive things that others may deserve. But they still aren’t considered criminals. Who is a patriot, and what makes them a patriot? With advantages taken but no laws broken, who is a criminal? Devil or angel? Again, we can’t trust lapel pins to tell us. Consider how you are making your judgments. Consider the subtle markers you are using to determine whether or not you give someone your respect — from American flag pins, to skin color, to manner of dress and apparent position. These items may not be giving you the information you really need about someone. Also, consider turning your praise and admiration from larger-than-life figures in sports and entertainment — I’m looking at you, Lebron James and Lady Gaga — to be appreciative instead to the unsung heroes, patriots and angels around us that make our everyday lives run smoothly and safely. Try looking in your home to find a hero in your family, and thank them for what they’ve done for you. Try looking inside yourself to find a patriot, and be the angel that someone needs. I don’t typically wear a flag pin on my lapel. As CEO at SPAN Enterprises, you’ll often find me in simply a dress shirt, with the sleeves rolled up, no suit jacket with lapels. You see, instead of flag pins, I believe in wearing multiple hats to get the job done. I do, however, proudly display flags on my deck at home. 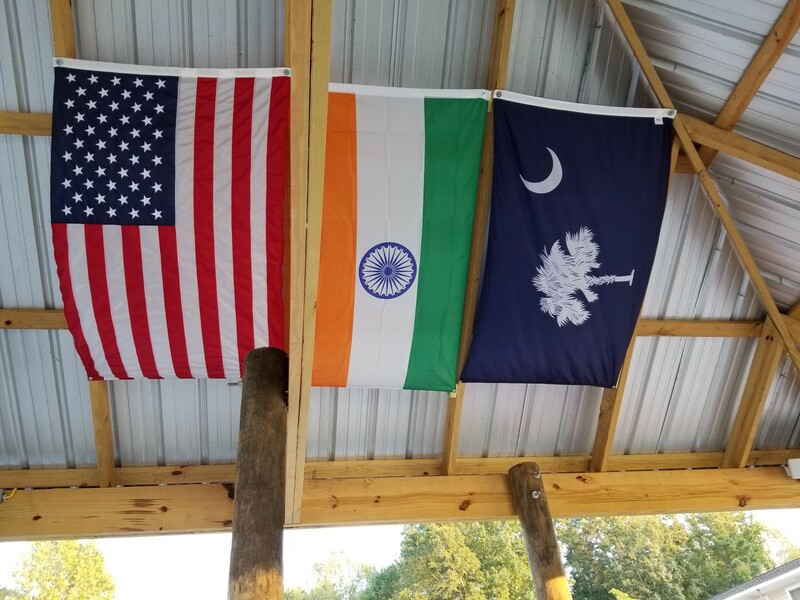 There are three — representing the United States, India, and South Carolina. What do they mean to me? Am I a patriot to all three? Am I doing enough to serve the countries and communities that I hold dear? Could I do more? 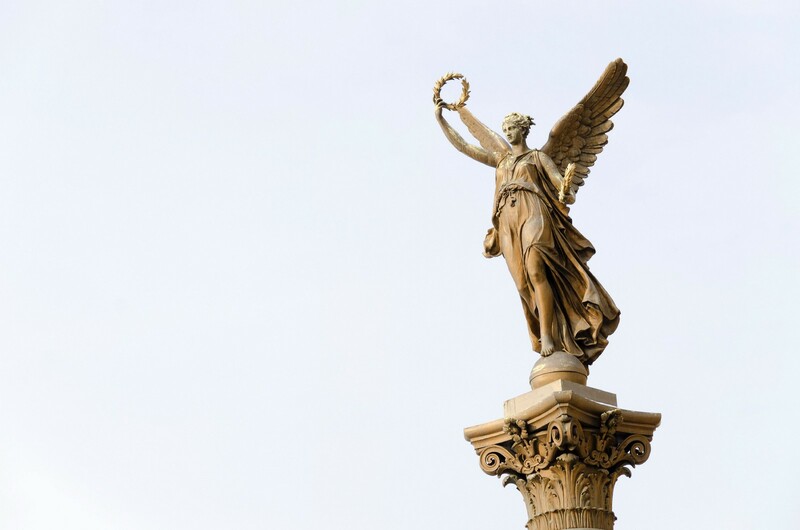 When I consider what it means to be an angel to those around me, and a patriot to my community, I think of all the tireless, thankless efforts put forward by those all around us — seen and unseen. I proudly display flags — large, bold flags at my home instead of a small flag on my person — but I know that, really, display means nothing without true action. I’m determined to do all I can to become a true patriot — to not just avoid criminal behavior or taking advantage of others, to not just obey the laws, but to actively engage with and serve others. I encourage my readers here to do the same.